The woodwork is quite elaborate as well. 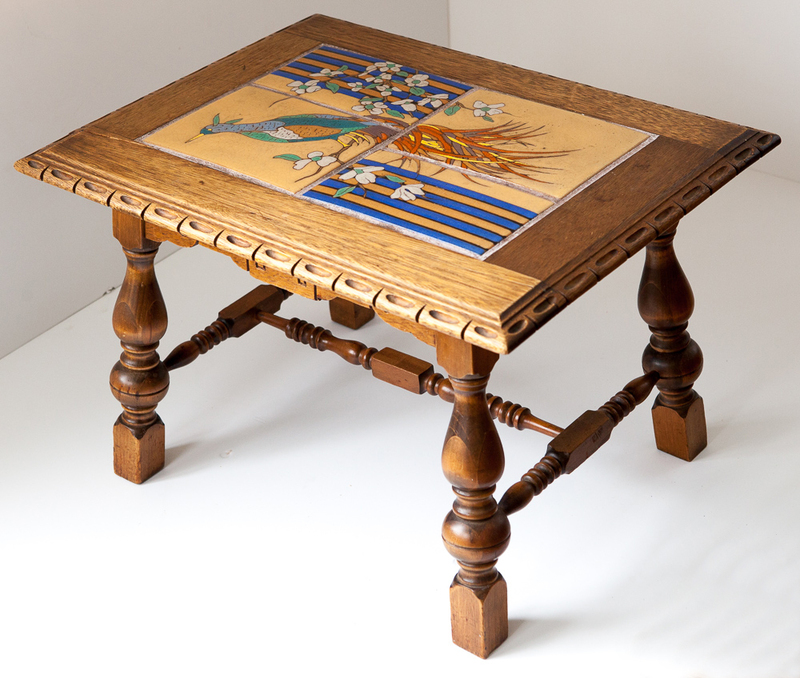 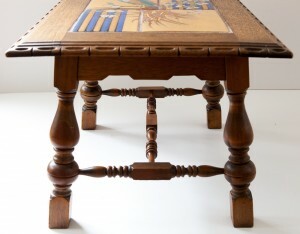 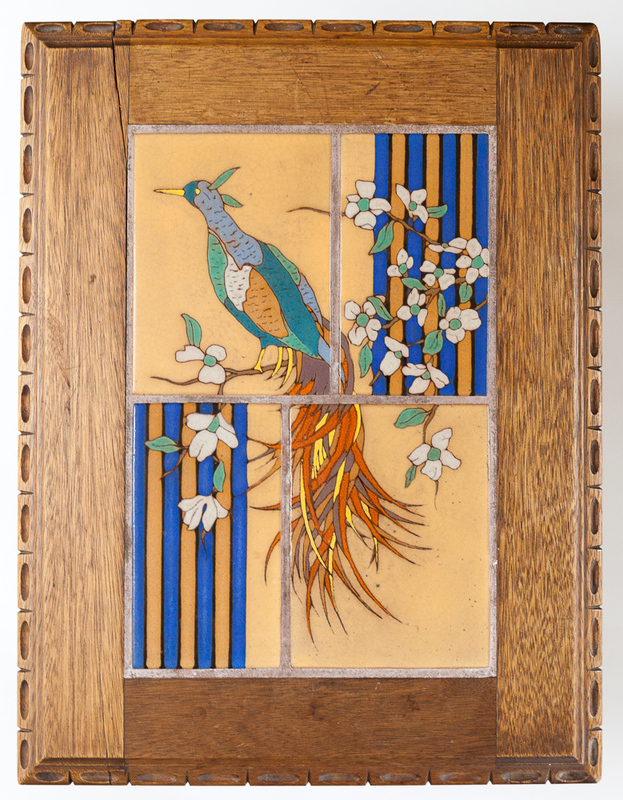 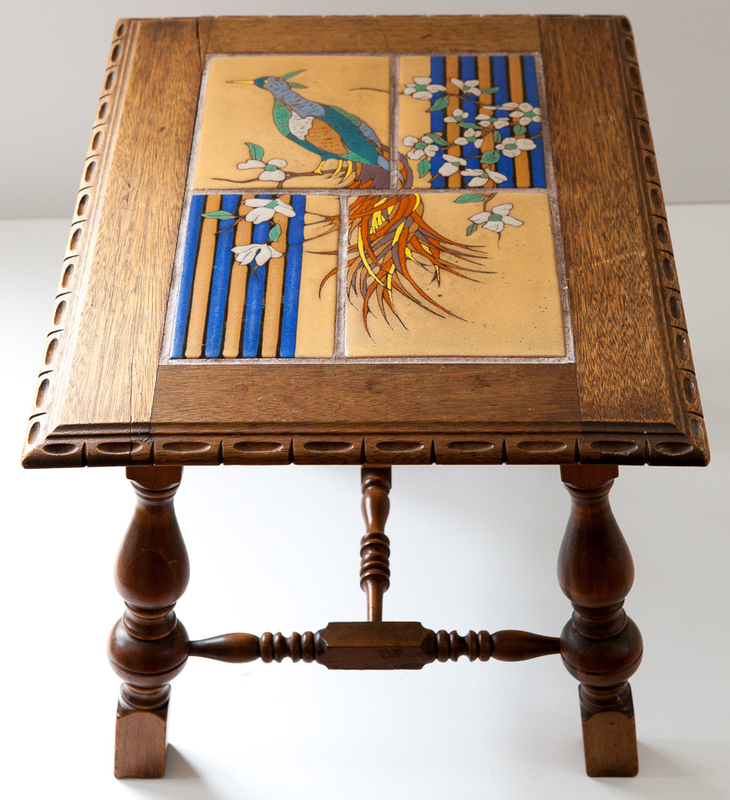 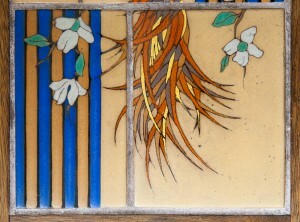 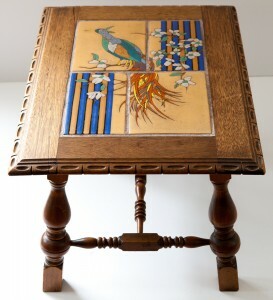 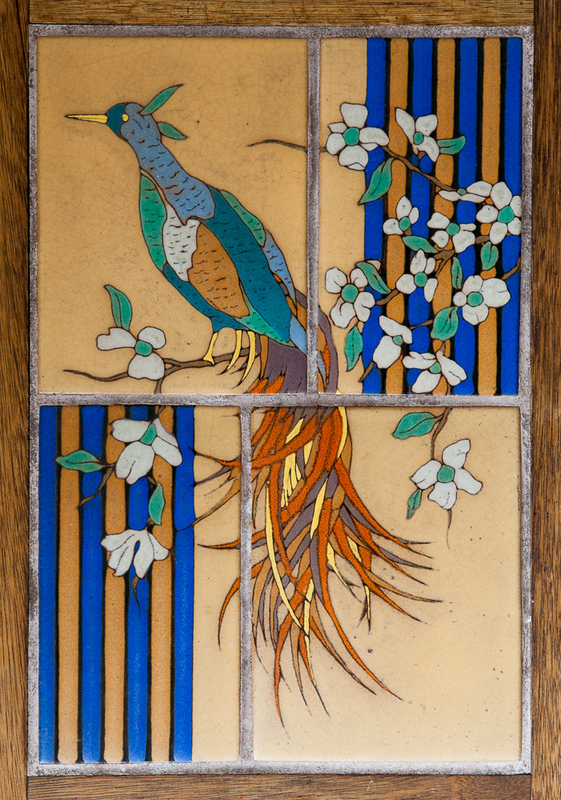 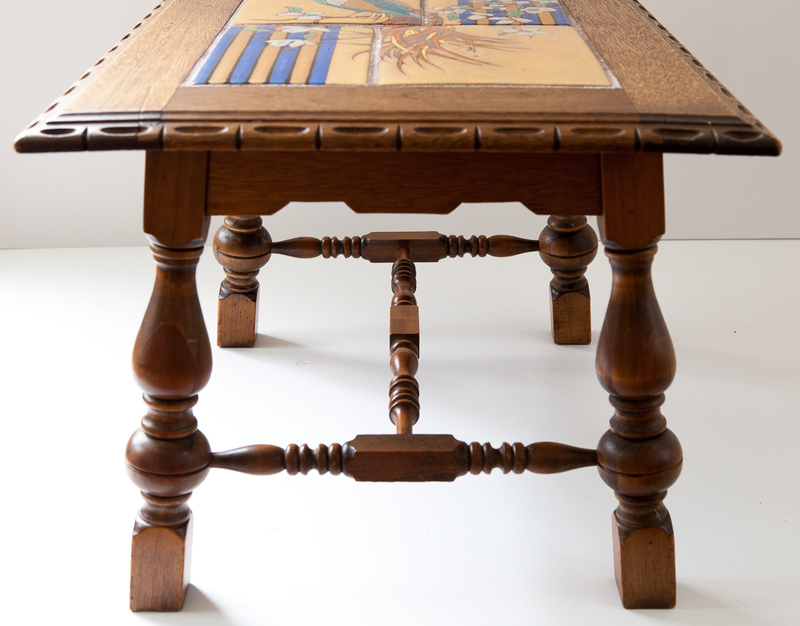 The tiles are set into a mahogany frame with carved borders; underneath there are carved Art Deco aprons and stretchers connecting turned legs. This particular design, while undeniably Taylor, is not listed in their catalog. 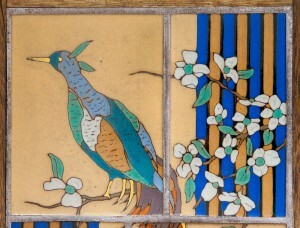 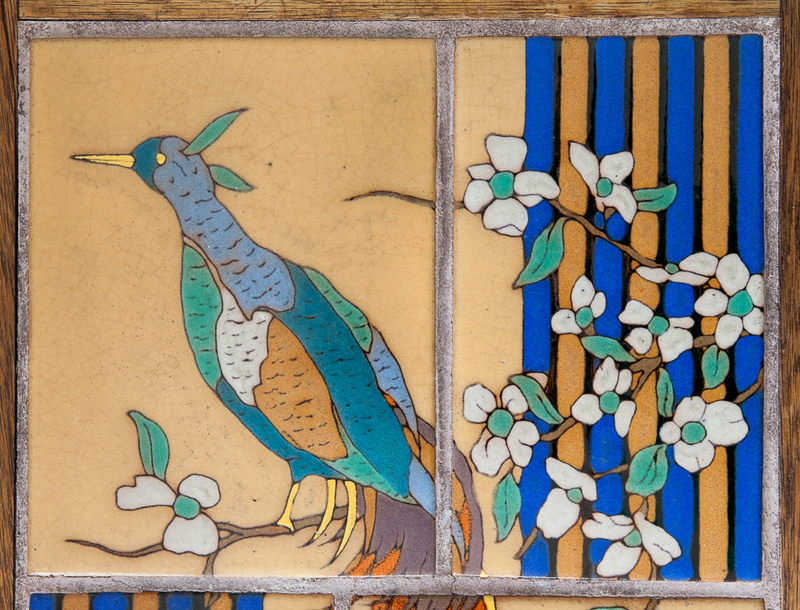 It does, however, appear on page 261 of the Encyclopedia of American Art Tiles, Region 6. 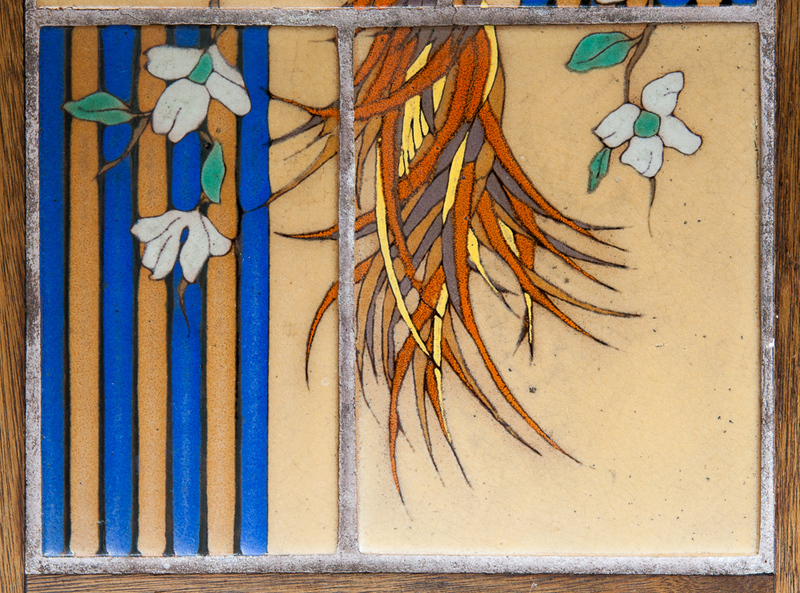 It's also shown on page 186 of the California Revival, albeit in a slightly different color scheme. 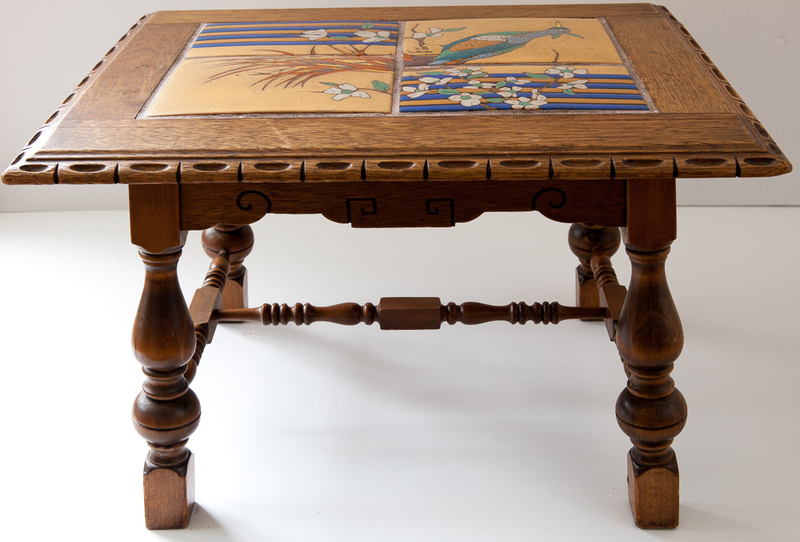 This table must have been cherished by its previous owners as the tiles are in perfect condition, with some minor age-related crazing. Dimensions: 12 1/4" x 18 1/4" (not including the wooden edge), two 6 5/8" x 8 3/4" tiles, two 5" x 8 3/4"